Get a FREE lesson from Cooking with MasterChef! 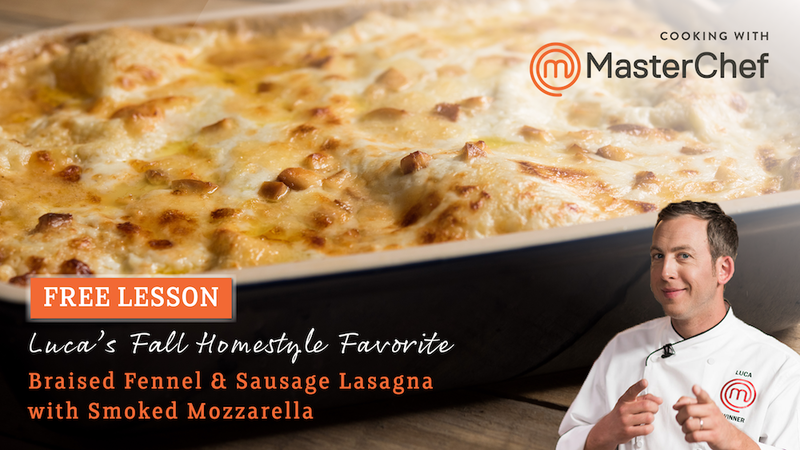 Stay warm this Fall by learning how to make Luca’s Homestyle Favorite. Be a MasterChef in your own kitchen with our new line of cooking gadgets! Don’t miss out on the ultimate fan experience! 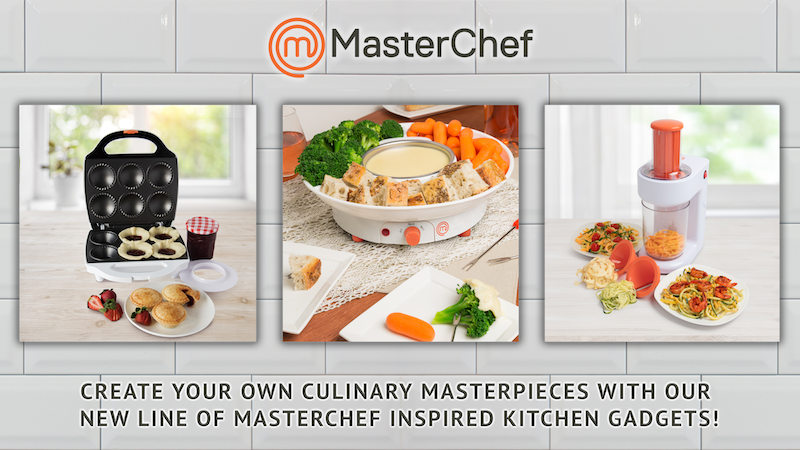 Sign up and browse the latest MasterChef culinary experiences. 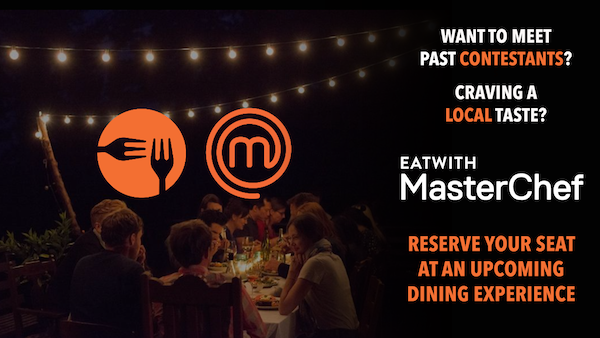 Get 10% off your first experience with the code MASTERCHEF10. *Code applies to purchases of $100 or more. Valid through December 31, 2018. 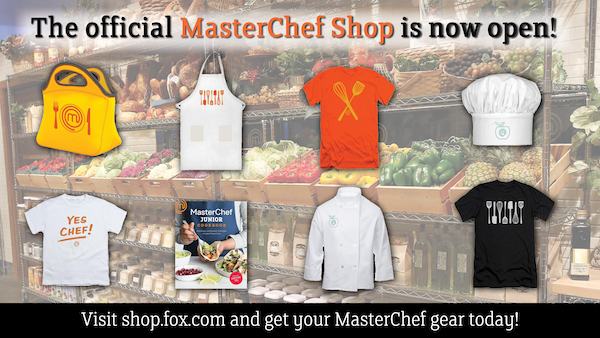 Find MasterChef gear for fans of all ages! 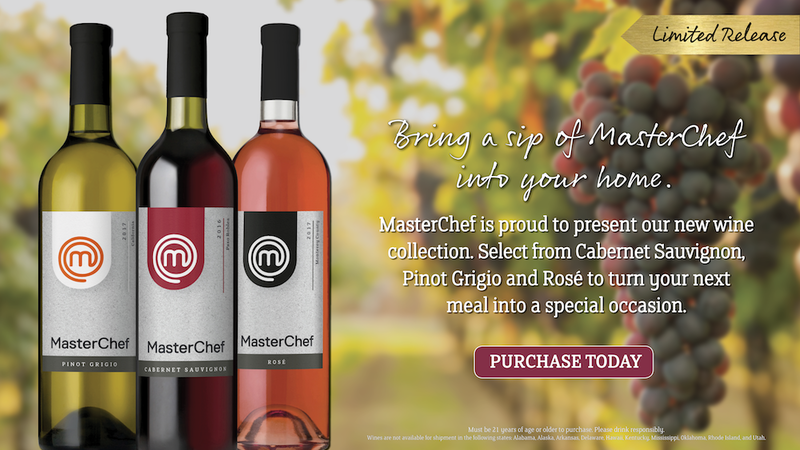 Introducing limited edition MasterChef Wines! Select from Cabernet Sauvignon, Pinot Grigio and Rosé to turn your next meal into a special occasion.